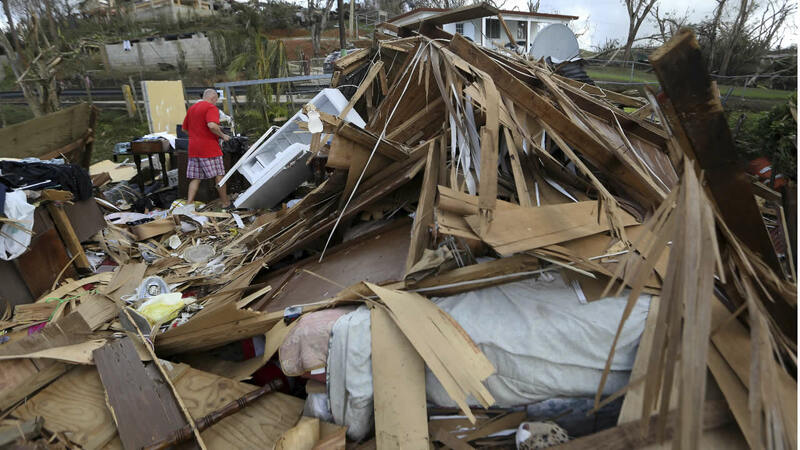 WASHINGTON -- The House of Representatives approved Thursday a $36.5 billion disaster aid package to help victims struggling to recover from a string of devastating hurricanes and wildfires. The bill passed 353-69. The measure heads to the Senate, which returns from a week-long recess next week. While the Trump administration requested $29 billion in supplemental spending last week, it asked for additional resources Tuesday night, including $4.9 billion to specifically to fund a loan program that Puerto Rico can use to address basic functions like infrastructure needs. "We think it's critical that we pass this legislation this week to get the people of California the help they need, to support the victims, and also to help the communities still recovering and dealing with the problems with the hurricanes Harvey, Irma and Maria," House Speaker Paul Ryan told reporters Wednesday. The new measure comes roughly a month after Congress passed $15 billion in new emergency aid, but that was before Hurricane Maria wreaked havoc on Puerto Rico and before a deadly wave of wildfires in California amplified an existing problem with wildfires out West. House conservatives have called for spending cuts in other programs to pay for the latest disaster aid package. Rep. Dave Brat, a member of the conservative House Freedom Caucus, said he's undecided on the package and waiting to hear more about potential offsets. "You don't just write off debt," he told reporters. "Someone is going to pay the bill. So we got to make sure the taxpayer isn't continually stuck with bills out of thin air." Despite some concerns, multiple House GOP members told CNN they expected the bill to pass Thursday. Rep. Tom Cole, R-Oklahoma, said Republicans discussed Wednesday in their weekly caucus meeting some potential reforms to attach to the bill and "at least offset some of these enormous costs." "People want to be helpful here. They've turned on the television. They know these are awfully genuine needs," he said, arguing that Republicans simply want to fund the measure in a "prudent" way. Officials from the Department of Homeland Security are set to come to Capitol Hill Wednesday afternoon to brief House members on recovery efforts in Puerto Rico.